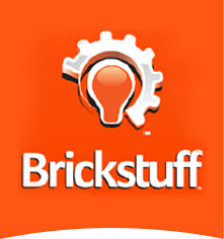 Brickstuff Shipping Rates - Brickstuff-- Small Lights for Big Ideas! Beginning January 1, 2019, we are happy to offer our customers outside the USA the option of DHL shipping. This greatly reduces transit times while providing better service than USPS International Priority Mail. ​No special coupon code is needed to take advantage of these rates-- when you place an order that meets the minimums below, your shipping options will be displayed automatically. Note that we do require DHL shipping for some countries based on prior delivery experience-- the minimum order value to receive DHL shipping is higher than Standard Shipping. Currently the countries requiring DHL shipping are Indonesia, Malaysia, and Italy. ​So what are the rates? As a rough estimate, transit times in the US for First-Class Mail is typically 1-5 days, and Priority Mail is typically 1-3 days. For International First-Class Mail, transit times are typically 14-20 business days, and for DHL, typically 3-5 business days. If you live outside the USA, please make sure to read our International Shipping Policies before ordering-- these cover important topics like customs duties. Also, if you live outside the USA in a region DHL has categorized as a "remote delivery area," an additional fee of $30 will be added to your shipping charge if you pick DHL as your shipping carrier. Note that this fee applies even for otherwise "free" shipping. If your address is listed in a DHL "remote delivery area," we will notify you by e-mail before shipping your order, and we will send a PayPal invoice for the additional fee. ​Ready to take advantage of these great shipping rates? Head over to our Product Page!